Grove designs and makes some of the prettiest iPad cases out there - hard bamboo, top notch design and everything made in the States. That’s why it’s got the new iPad covered (literally). 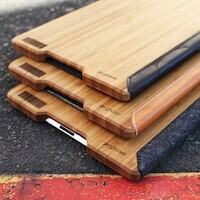 Grove’s designers have come up with the bamboo cover for the back and a wraparound cover protecting your tablet’s display. For the cover, you can pick between black, brown leather and thick charcoal-colored wool and on the inside, there’s soft suede. All of that comes at lighter weight. Of course, there’s a price to pay for such well crafted cases. Wool felt and plain leather cases will set you back $139, the Artist Series cases are priced at $149, and custom leather will run you $179. If you want something a bit less expensive, made in China, you can opt for Belkin. The company has also introduced a wide range of cases for the new iPad very quickly. Prices start from $24.99 and go to as much as $99.99 for the premium models. The cases are now avialable at Belkin’s website and they’re expected to arrive at select retailers globally later on in March. Hit the source link below to check out both Grove’s and Belin’s creations for the new iPad. 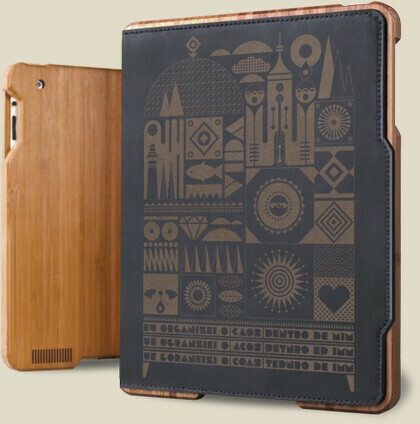 Does this bamboo one fit iPad2? Or we have an bamboo one for iPad2? It looks nice..
Hey i just looked at their website and the cases are $20 off through March. With such a nice case, you will need a case for that case.